Mobile app analytics and attribution company Adjust (formerly Adeven) has announced it has raised $7.6 million in Series C funding from ACTIVE Venture Partners, along with existing investors including Target Partners, Iris Capital and Capnamic Ventures. The funding will help the company increase its expansion plans for the US, China and Japan, with a continued focus on helping app developers re-engage with their users. Adjust has offices in Berlin, San Francisco and Istanbul, and helps mobile marketers identify the sources of their most valuable users. 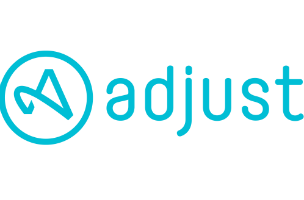 In addition, Adjust helps clients re-engage with those consumers both inside or outside of apps. Alongside the switch from Adeven to Adjust in February 2014, the company expanded its product offering from tracking app download numbers to offering analyzation on how consumers use apps after they’ve initially downloaded them. This includes tracking the average in-app session length, the number of times users login to an app and more. The platform’s real-time analytics allow marketers to change their campaigns in response to data to make the most of their time (and budgets). Forty percent of Adjust’s total revenue comes from Asia and the US, and the company sees more than 100 new client sign-ups each week. This funding will allow Adjust to capitalize on these high-growth markets, opening new regional offices and expanding its overall platform. Fifty percent of the funding is specifically targeted for the US, Chinese and Japanese markets. Philipp Schroeder, founding partner at ACTIVE Venture Partners, will join the Adjust Board of Directors. “Adjust has a top quality industry-leading technology in attribution analytics, and is already enhancing many partner platforms such as Facebook, Twitter, Tapjoy, Upsight and many more with their technology,” Schroeder said, in a company statement.